Times change, and not always for the better. 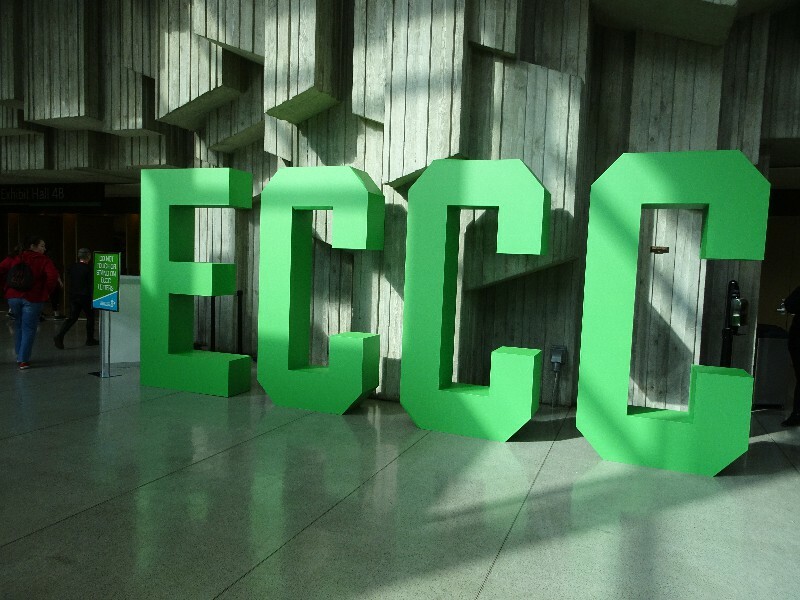 As things change, we must all adjust, and such is the case for Emerald City Comic Con (ECCC), which has announced big changes for the upcoming 2019 show (to be held March 14-17). 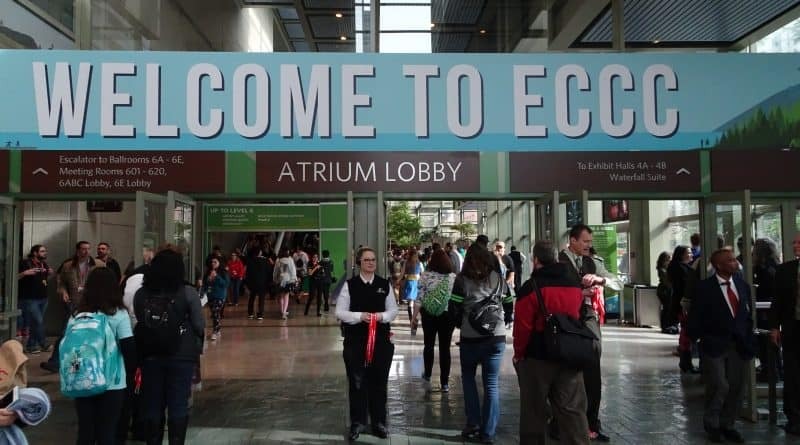 Prior attendees know that in the past, attendees have been able to enter the Washington State Convention Center (WSCC) from any door, then make their way over to the security stations at the front of the building to have their badges and bags checked. The same was true for The Conference Center (TCC) expansion across the street, that is also used for the show. 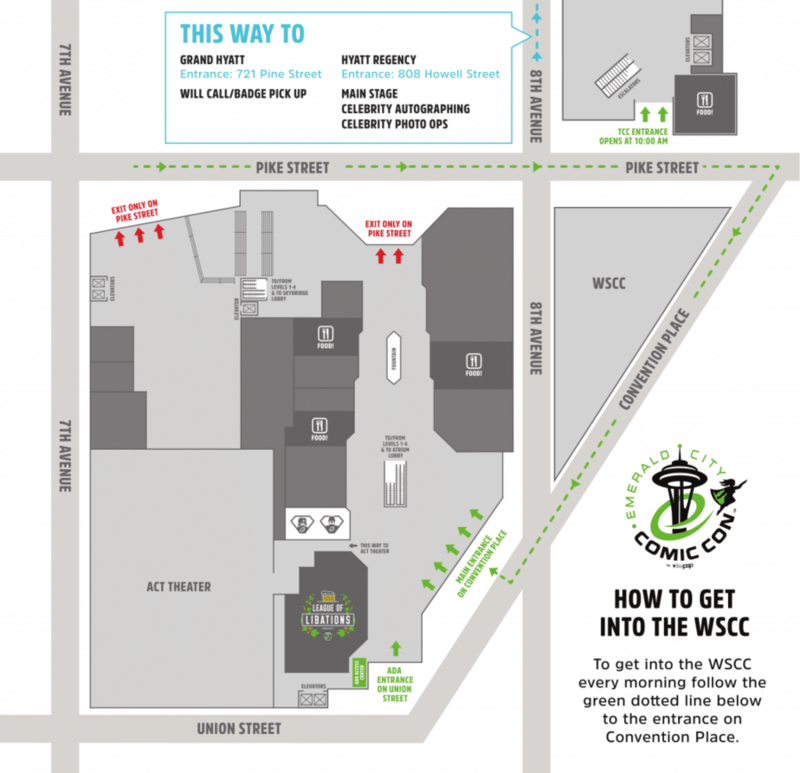 For 2019, fans can only enter the WSCC at the back entrance on Convention Place. 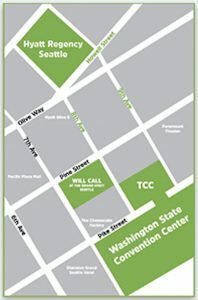 Attendees will be required to cross in front of the building on Pike St., then turn onto Convention Place and circle the building. The front doors to the building will only be used as exits. Additionally, no one will be let into the WSCC or TCC without a badge. If you did not receive your badge in the mail, Will Call will be located at the Grand Hyatt hotel on Pine St. (not the Hyatt regency on Howard St., which is the location of autographing, photo ops and the Main Stage), a short walk from the WSCC. 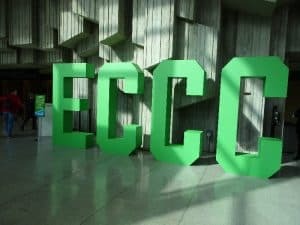 This year also introduces metal detectors to ECCC, and all bags will be searched. Prop weapons and cosplays may also be examined. Fans should make sure to be ready for these searches, and aware that there may be delays, particularly on Thursday, when everyone is still getting used to the new procedures. Attendees can also enter the convention directly through the TCC, but those doors will not be open until 10 am each morning. Fans should make sure that they understand these new procedures, and allow themselves a little extra time to enter the convention center this year. What do you think of these new security procedures? Join the conversation on the FoCC forums!